SANTA BARBARA — In recognition of the Day of Remembrance, the UC Santa Barbara Nikkei Student Union presents “The Manzanar Fishing Club” on Tuesday, Feb. 21, at 6 p.m. in the MultiCultural Center on campus. The free screening will be followed by Q&A with director Cory Shoizaki and former Manzanar incarceree Mas Okui. 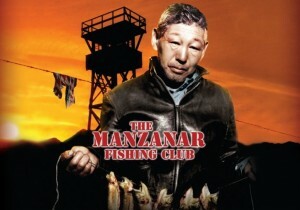 “The Manzanar Fishing Club” depicts the true story of Japanese American detainees who slipped away under the cover of night to find freedom and adventure matching wits with the prized trout of the Sierra Nevada’s high-altitude lakes and streams. For more information on the film, visit www.fearnotrout.com. Co-presented by the Department of Asian American Studies, Center for Black Studies Research, and Associated Students Finance and business Committee. For directions and parking information, visit www.ucsb.edu/maps-directions.